Hopscotch Features has optioned the film and TV rights to Sarah Bailey’s crime thriller The Dark Lake (A&U), via Lyn Tranter of Australian Literary Management. 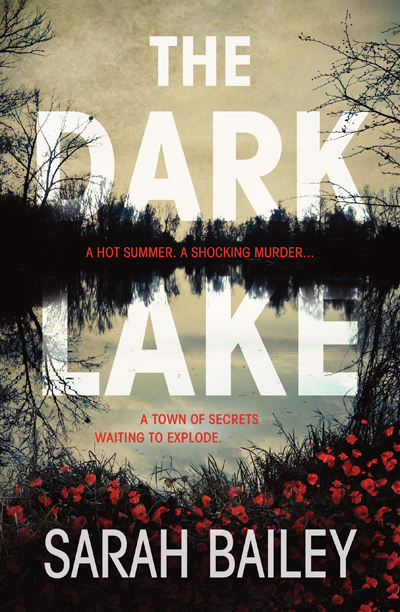 The Dark Lake, which was published in June this year, follows small-town detective sergeant Gemma Woodstock as she investigates the murder of a young teacher while concealing the fact she knew the murdered woman in high school years before. Producer Troy Lum said Woodstock is ‘a brilliant character—complex and driven, with secrets of her own—and will be a magnificent role for a great actress’. ‘With buzz about the book now reaching all over the world, this is great opportunity to create a series with huge international potential,’ said Lum. Hopscotch Features is a collaboration between Troy Lum (Saving Mr Banks, Mao’s Last Dancer), John Collee (writer of Master and Commander, Happy Feet and Creation) and Andrew Mason (producer of The Matrix, Dark City, Tomorrow: When The War Began). They are the team behind The Water Diviner. Publishing rights to The Dark Lake have been sold into five international territories so far, including US rights to Grand Central Publishing, UK rights to Atlantic, simplified Chinese rights to Beijing White Horse Time and Culture, Italian rights to Edizioni Piemme and German rights to C. Bertelsmann.